HUSD has a new look! We are excited to launch an information campaign and a new look to help our schools and community partners share everything our district has to offer. Watch Superintendent Wayne discuss the campaign in the following video. 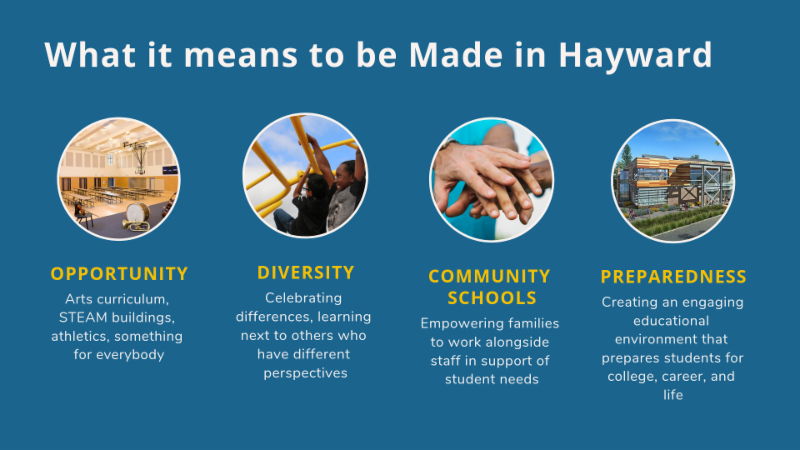 Bringing Meaning to "Made in Hayward"
﻿Hayward has a strong sense of tradition and our community is proud to say they are "Made in Hayward." We talked with many of our stakeholders—some with deep roots in our city and others who have more recently fallen in love with this area—to find out what inspires them about our schools. 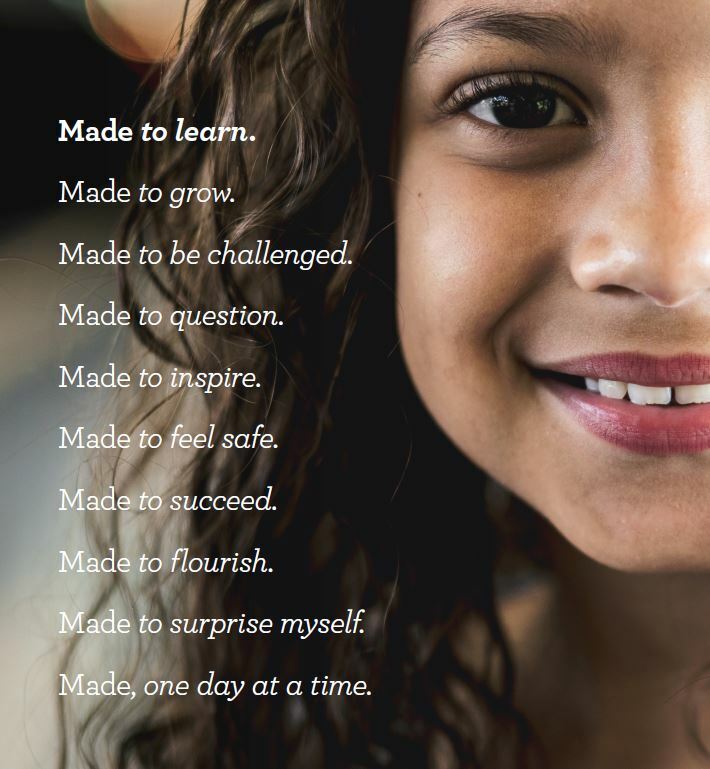 You'll see this poster going up at our schools to remind us all why our students are proud to be Made in Hayward. The students that fill the hundreds of classrooms across our school district inspire us every day. The familiar "H" pays tribute to the history and tradition our community values. It has been an essential part of the brand for schools in our city over many generations and this imagery can be found in our local museums. The colors are similar to our current logo and the gold/yellow tone signifies a horizon. We feel that it is representative of the bright futures our students can aspire to. 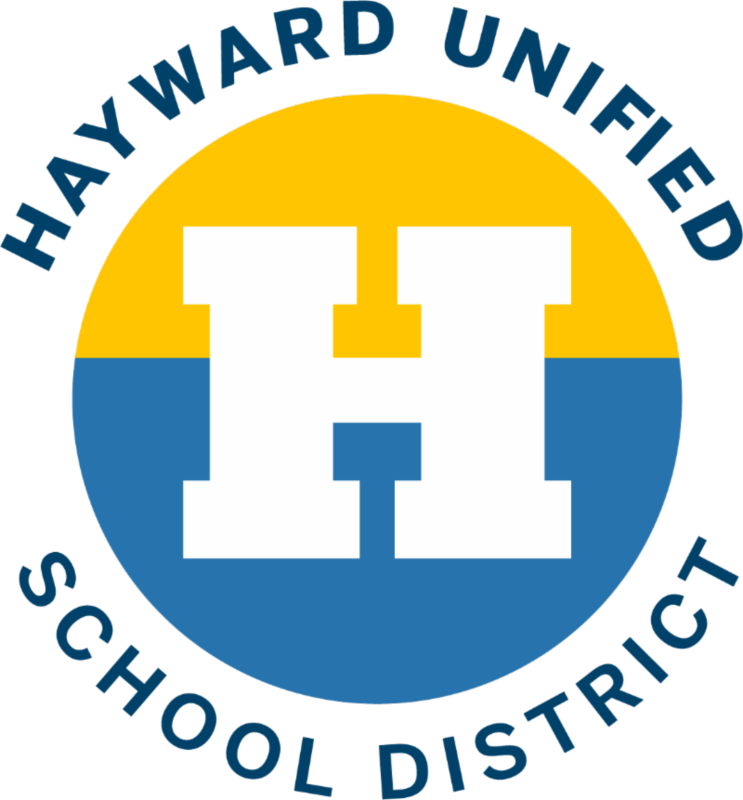 Q: Will the Made in Hayward logo and the original district logo go away immediately? A: You will see the new logo right away on our websites, on social media, and in some of the public advertising we will roll out. 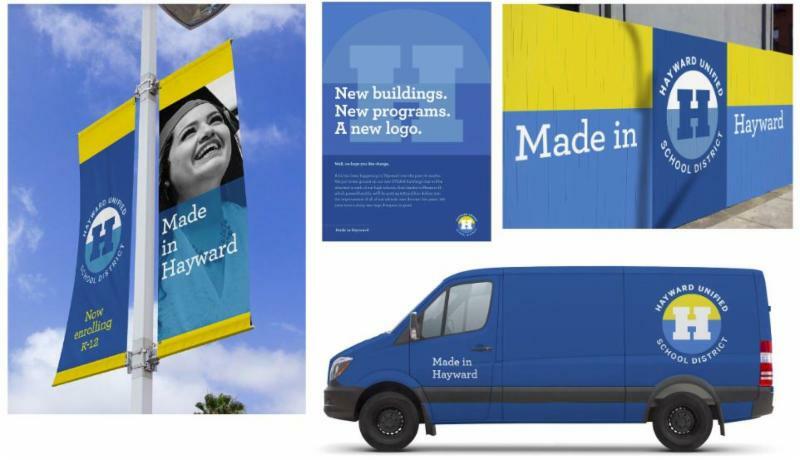 That said, the Made in Hayward logo and the original district logo appear on our district vehicles, on buildings, and in signage across the district. We will phase in the new look in a way that creates minimal financial impact for our district. This means that you may continue to see our older brand expression for some time until departments have the need to replace signs and materials. We are excited for this to be the start of a long-term transition that better expresses what our schools have to offer. The new brand provides all of us at HUSD an opportunity to ensure that the way we represent the district is consistent to support our promise, vision, and initiatives for all those who are part of our community. You can expect to see small things, like updates to our digital content, and more pronounced changes that include promotional materials at our schools and in the community! These symbols of the new brand are intended to show our passion and support for HUSD. We look forward to rolling out major components of the brand in the coming months.